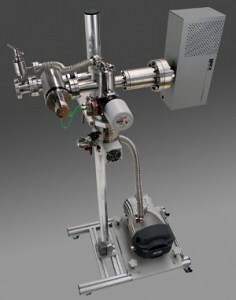 The HPR-30 sampling system configuration is for fast response high sensitivity analysis of gas and vapour species in vacuum processes.It is also directly suited to analysis of high mass species and precursors used in ALD and MOCVD applications. The HPR-30 system features a close-coupled re-entrant aperture for sampling directly within the process region, providing maximum data integrity and fast confirmation of process status. Options include the innovative Hiden 3F series triple filter quadrupole system providing enhanced abun dance sensitivity, part-per-billion (ppb) detection levels and high contamination resistance, particularly suited to the analysis of aggressive gases in CVD and RIE applications.